Our 3 Fun Casino Managers each have over 10 years experience working in the fun casino & entertainment industry in the UK. 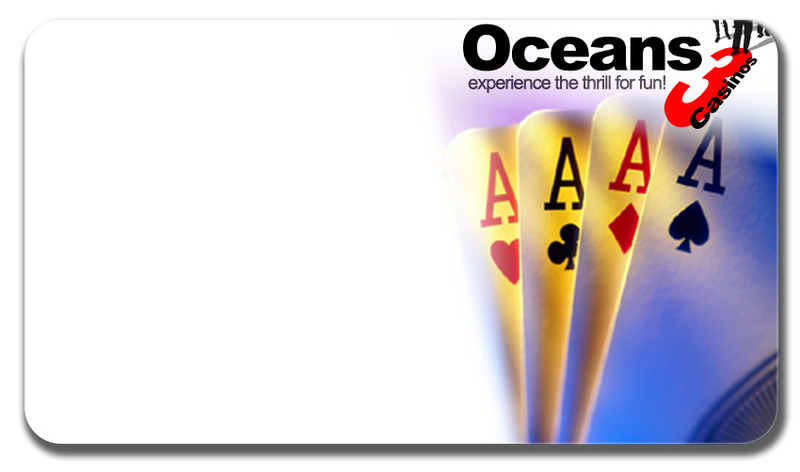 Together, Oceans 3 Casinos has over 30 years of casino experience always with the emphasis on fun. We feel it's important to build a good rapport with our clients & our friendly fun casino hire service is second to none. We pride ourselves on providing first class entertainment & this year were honoured to be invited to provide a fun casino for the 'Gala Las Vegas Night 2008' held at Drayton Manor Park in aid of 'Breast Friends Cancer Support Groups'. This is the second time we were invited to provide a fun casino at this event. We are available for 'Fun Casino Hire' throughout the Midlands, mainly operating in a 80 mile radius from Stafford, but we are happy to provide our service throughout the UK. So, be assured, you provide the venue & let us provide the 'Glamour' & the 'Glitz' & experience the thrill of a 'Las Vegas Casino' for FUN!